It can’t be denied that video games have become more cinematic over the last couple of years, as blockbuster games like Activision’s Call of Duty: Infinite Warfare feature scripts that wouldn’t be out of place in the average Hollywood movie. And these year’s nominees for The Writers Guild Awards in the video game category include some of the biggest AAA releases of last year, including the aforementioned Call of Duty: Infinite Warfare, which will be competing for the award with Uncharted 4: A Thief’s End, Far Cry Primal and the Mr. Robot mobile game. 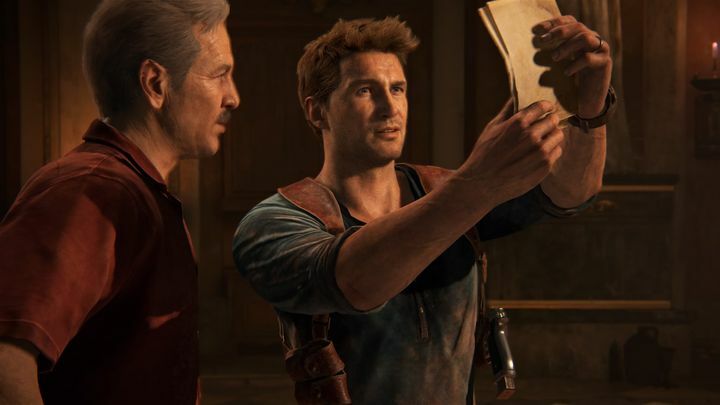 Of course, it can’t be denied that Uncharted 4 and Far Cry Primal are worthy nominees, as Naughty Dog’s final Uncharted 4 game had a story worthy of a high calibre Hollywood film and featured plenty of great moments in its script. And Far Cry Primal’s writers surely deserve credit as they even created a prehistoric language from scratch to be used in this Stone Age action game. Also, Mr. Robot is a nominee that deserves a special mention as this was clearly a game made with less resources than its heavyweight competition, yet still featured an elaborate script that added to the gameplay experience. It remains to be seen, then, which game will come out on top when the Writers Guild Awards take place on February 19, as gamer’s favourites like the latest Call of Duty and Uncharted 4 (also the top nominee at this year’s DICE Awards) may fail to take the prize, much like it happened last year when The Witcher 3 lost to Rise of the Tomb Raider for the video game writing award. But regardless of which game emerges as the winner, the fact that video games are now considered for awards of this nature shows how far the video game industry has come, and proves that video gaming has become a worthy pastime like movies and TV are in our time. Next: Will Ariana Grande shine in Final Fantasy? Will Ariana Grande shine in Final Fantasy?